Russian special forces officer heroically died in Palmyra area by drawing fire upon himself, a representative of the Russian airbase in Syria Khmeimim informed, TASS news agency reports. “Carrying out a special mission of guiding the Russian airstrikes against ISIL [Organization banned in Russia – Editor] terrorist targets in the area of Tadmor (Palmyra, Homs province), an officer of Russian special operations force officer was killed,” he said. 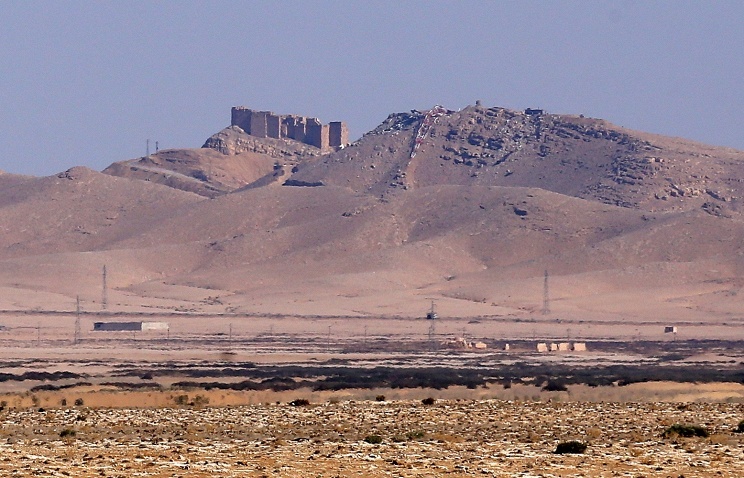 “The officer was carrying out the combat task in Palmyra area for a week, uncovering the most important targets of ISIL [Organization banned in Russia – Editor] terrorists and presenting exact coordinates for Russian airstrikes,” the representative of the base noted. “The serviceman heroically died by ordering an airstrike against himself after he was uncovered and surrounded by terrorists,” he emphasized. Although the main part of Russian AeroSpace Forces left Syria, a number of planes remain to help eliminate ISIL (Organization banned in Russia) and al-Nusra (Organization banned in Russia) terrorists, since the ceasefire was never supposed to extend to them. This entry was posted in News from the Middle East and tagged ISIL, Palmyra, Russia, Syria. Bookmark the permalink.